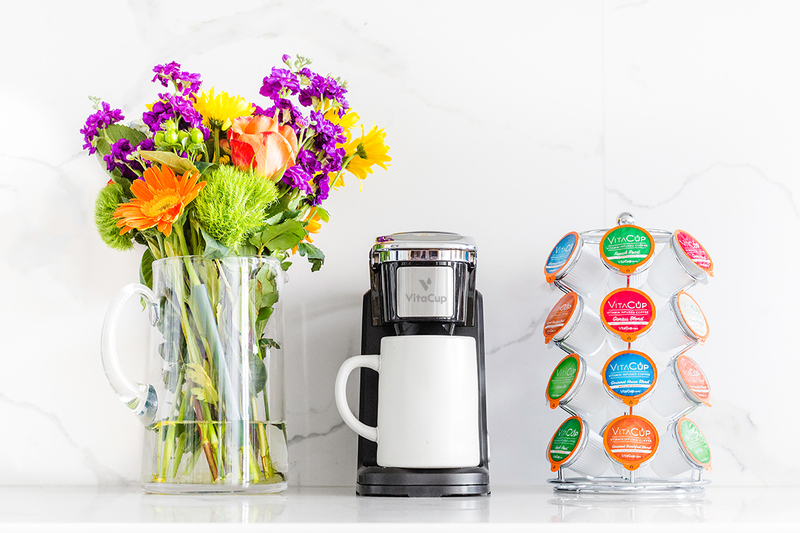 VitaCup Inc. is the first marketer/distributor of vitamin infused coffee and tea pods, addressing consumer demand for functional beverages in two fast growing segments: coffee and supplements. VitaCup’s mission is to bring customers an innovative and delicious way of taking daily vitamins through its growing portfolio of premium coffee and tea products fortified with a blend of high-quality essential vitamins, superfoods, antioxidants and other functional ingredients. Coffee and tea products are infused with vitamin blends composed of antioxidants, and multiple strains of Vitamin B and Vitamin D3. VitaCup pods are Keurig compatible and have removable lids so the pods can also be used in a standard coffee maker. The products are sold primarily through e-commerce channels with rapidly growing distribution across stores in the food, drug and mass channels. VitaCup recently launched its Genius Blend and Beauty Blend products which are infused with MCT oil & turmeric and collagen & biotin, respectively.